Captain Sven Fromm founded Clever Marine Services Ltd in 2009 after a career spanning 25 years as captain, superintendent, technical director and managing director in the maritime industry. It was his aim to establish a maritime/offshore service company with transparent and predictable pricing and an efficient work force due to multiple skilled personnel. Clever Marine Services Ltd originally started as a service provider for overhauls for all kinds of diesel machinery and a consultant for international safety and security management as well as crewing and owners representation in insurance cases. 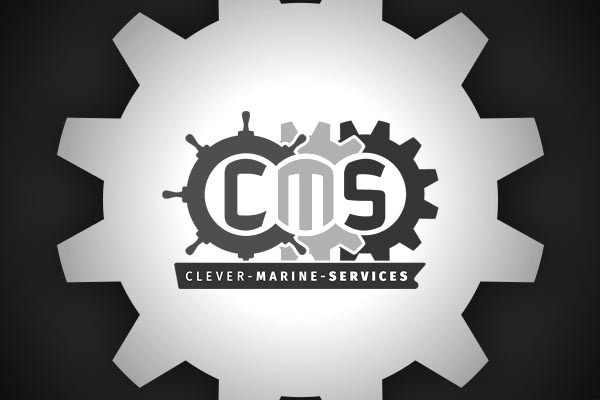 The team which founded CMS Ltd consisted of two marine engineers and Captain Sven Fromm who together formed the technical and inspection department of a shipping company with up to 16 vessels in management. In 2017 Silke Strohschenk and Rico Barenschee joined the company as co-owners. Together they have more than 20 years experience in the delivery of spare parts sales and service at Blohm + Voss Hamburg. 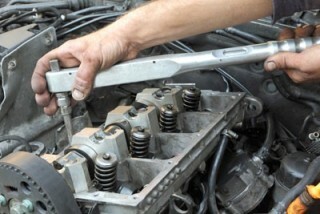 They bring with them unrivalled knowledge and worldwide experience of a broad range of ship spare parts and procurement. Please contact us with any requirement you may have and we will use all our skill and experience to provide you with an efficient, economical and professional solution for the request. After the first two years of operation it became apparent that corrosion control on merchant ships still required additional recourses. Therefore CMS Ltd decided to train its personnel in the use of ultrasonic thickness measurement equipment (UTM) and to obtain IACS class approval to provide these services. In the years 2011-2013 CMS Ltd personnel achieved the appropriate qualifications and approval of Germanischer Lloyd, Buerau Veritas, Det Norske Veritas, RINA, Lloyds Register and the American Bureau of Shipping. 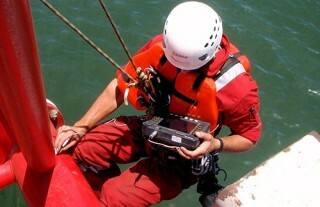 Since the CMS Ltd has performed numerous UTM surveys for the abovementioned IACS Class societies on merchant ships. Due to our location on the Isle of Man and the short distance to Aberdeen, Tyne & Wear and Liverpool it was obvious that CMS Ltd should extend its certified skills and approvals in order to be able to work on offshore energy installations and vessels. 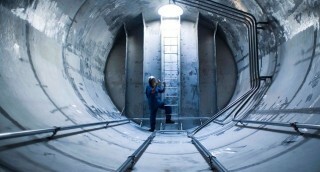 The UTM survey is only one discipline within non-destructive testing (NDT) and logically CMS Ltd had to extend its services in order to offer the full range of NDT technologies. 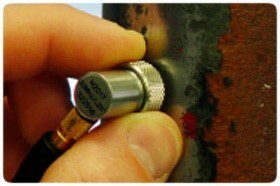 Currently CMS Ltd is able to perform UTM, Ferrous material inspections, weld testing and inspections by liquid penetrant inspection (LPI), magnetic particle inspection (MPI) and ultrasonic technologies such as; rough plate testing, weld test on; pipes, plates, nozzles and nodes up to phased array UT technology. In order to use all these NDT technologies in which ever environment required and personnel hold offshore and maritime safety certification as well as rope access (IRATA) qualifications up to level three. It is Clever Marine Services philosophy to perform excellent services for its clients for a reasonable and predictable price in the most efficient manner. Proactive management, overhauls and corrosion control is offered by a number of service companies but CMS Ltd’s approach is to enhance the efficiency of services rendered by the use of multiple skilled personnel. In this case this means that CMS Ltd can offer qualified and experienced mechanical engineers who also hold UT, LPI & MPI qualifications and therefore can be used to perform several different services within the same contract. This can save travel costs and has the advantage that the service personnel attending are of versatile use. The multiple skilled work force is one pillar of Clever Marine Ltd’s success; the other is the use of the most modern equipment and tools combined with over 25 years’ experience in the maritime field. For its NDT services CMS Ltd are using Sonowall 60 for UTM and Sonoscreen ST10 machines produced by Sonotech Germany for all other UT methods as well as Helling GmbH MPI equipment and consumables. For CMS ltd service teams to be fast and flexible on attending we believe it is better to reduce the required tools carried to the essential amount required for the task. This means for overhauling services or combined NDT overhauling services CMS teams are carrying the essential measuring tools such as micrometers, veneers and laser measure and alignment tools as well as infrared thermometers, calibrators and required special tools. This keeps transport and logistic costs to a minimum and reduces notice time for attendance. We believe that the above explained and below listed advantages are essential for the modern management of maritime and offshore assets.